(2017-08-23, 23:57)Guilouz Wrote: [ -> ] Yes, you are in list, so in container, so you can't use Skin Helper property here. Wow, that's surprising. It seems like these lists are precisely where these skin helper properties would be most useful. 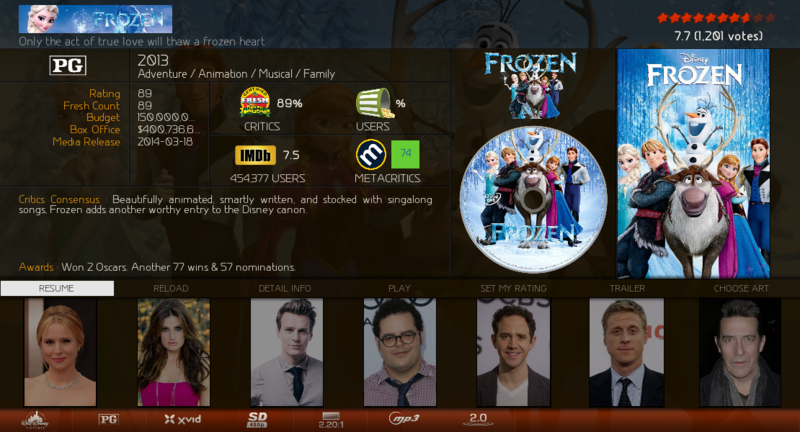 Unfortunately it is a Kodi limitation (not a limitation of the script per se). Kodi prevents accessing window properties from inside itemlayout/focusedlayout. there are "spaces" between every character. Is this normal? Is the name of a show cut off e.g. after a space and a colon or e.g. after a space and a "("? Resultats for this PVR will no good. This is mine...I remove ":". What is the benefit of downloading to your music folder and custom folder? why just not custom folder? 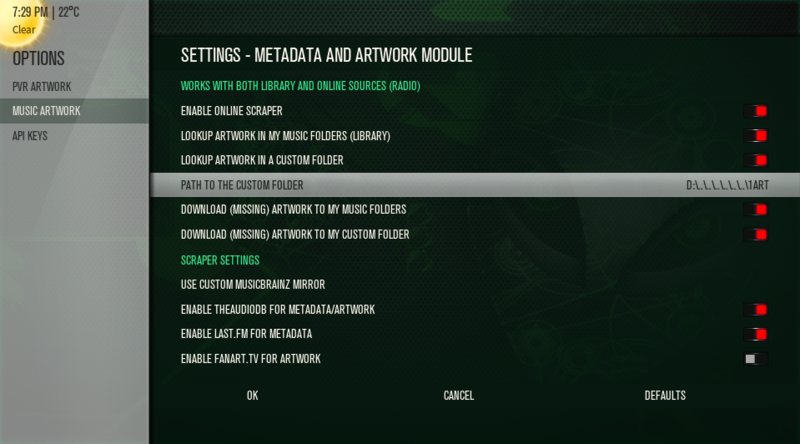 Custom Art is for All art.....I use Radio Addon and dont want to mess up library and Addon Art. Where does SHS pull music artwork from? Just wondering as it's starting to pull incorrect artwork for me and it also seems to be ignoring folder.jpg as well i.e. even though it exists it is starting to overwrite it and sometimes with the incorrect image. Neither SkinHelper.ListItem.Rating.MC nor SkinHelper.ListItem.MetaCritic.Rating is returning any metadata. Is it happening for everyone else? (2017-08-27, 20:56)VikkiXavier Wrote: [ -> ] Neither SkinHelper.ListItem.Rating.MC nor SkinHelper.ListItem.MetaCritic.Rating is returning any metadata. Is it happening for everyone else? For the retrieval of metadata several API's are used (like omdbapi, fanart.tv tmdb) The requests to these api's are rate-limited and cached by this addon to not overload those free, great services. The addon settings will contain options for users to enter their personal/payed API-key to enable all features of the API and remove the rate limiter. Angelinas, how were you able to view the RottenTomatoes Critic Consensus? And also, do I need a fanart.tv API-key for artwork downloader to work, because it is not working. Hi , i am also interested about that . after i click "back" it returns to display everything, but after a couple of songs kodi is crashing. Is there something wrong that i m doing? Or should i post this to the Aeon MQ 7 Mod skin topic? I m using 17.4 krypton version with Aeon MQ 7 Mod skin. for content_type (movie , seson or episode)...i think....try to add ApiKey for tmdb,& remove your simplecache.db too see are OMDB work for you.